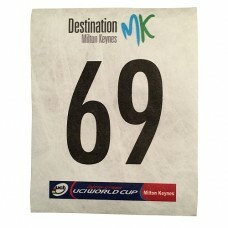 Disposable tyvek race number, printed with your event and and sponsors logos in full colour. Manufactured to UCI regulation size and supplied to many of the UK's top events. UCI Regulation Size Arm Numbers. Made of Tyvek Single panel numbers 10cm x 12.5cm. 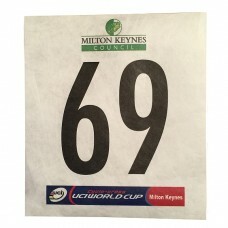 White with b..
UCI Regulation Size Body Numbers. Made of Tyvek. Single panel numbers 16cm x 18cm. Printed with.. 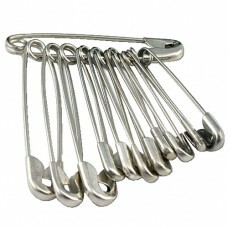 Box of 1000 stainless steel safety pins, for race numbers. Allow 4 per number when ordering..